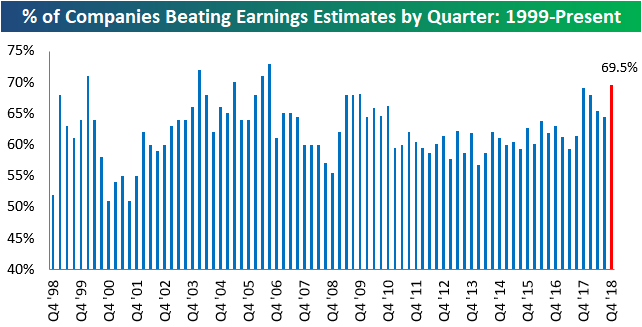 As shown in the top chart below, 69.5% of companies that have reported this season have beaten bottom-line EPS estimates. 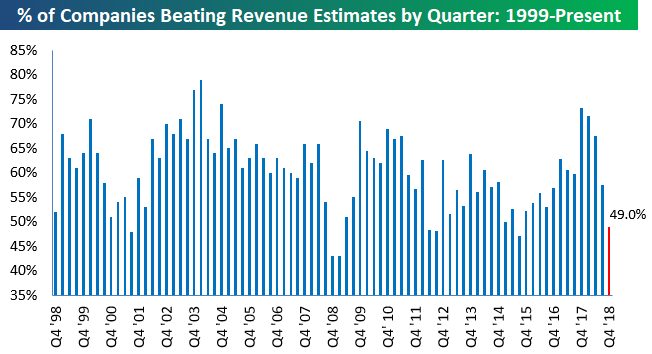 However, less than 50% of companies have beaten top-line revenue estimates (bottom chart). We’ll get a much better read on things this week when hundreds of companies are set to report, but early signs point to a huge struggle for companies to meet sales expectations in Q4.